For food processing and packaging applications, all components of our conveyors must be able to stand up to extreme washdown conditions. The motors are no exception, and that’s why many of our conveyors are now incorporating Bison’s IP69K Rated SANIMotors™. 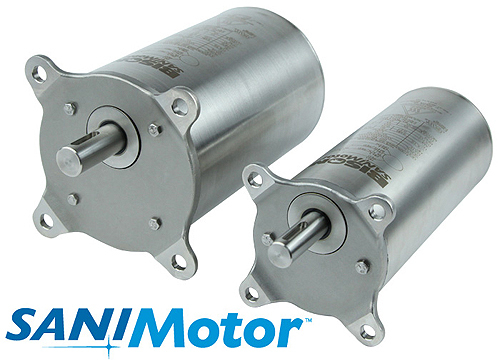 The stainless steel SANIMotor™ is designed to ensure long, trouble free life in harsh environments. All electrical components are encapsulated in thermally conductive epoxy resin, allowing use in up to 40C ambient temperatures. The encapsulated assembly is enclosed within a 303 stainless steel tube and investment castings front and back. One of our recent conveyors that utilized SANIMotors™ was featured in a recent issue of Design World Magazine. Click here to read the article.